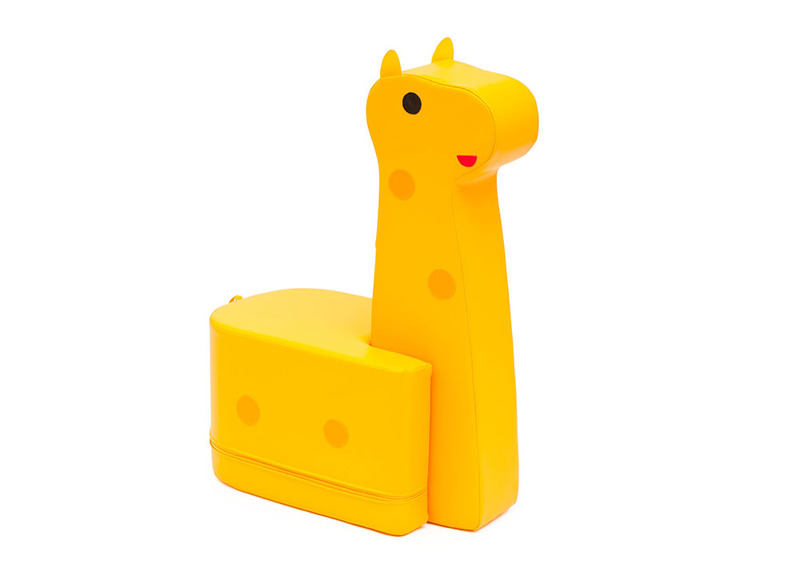 The Childrens Soft Play Giraffe can be used as soft seating for children or as a fun and interactive soft play toy for early years’ children. Designed for use in pre-schools and nurseries for children aged 2 years+. The fun and interactive animal shaped childrens soft seat can be also be used in childrens soft play areas. Also available is a Childrens Soft Play Horse Seat and a Childrens Soft Play Elephant Seat to make a complete soft seating set. Manufactured using high density foam which is resistant to bending, sagging and twisting with brightly coloured, easy clean and fire resistant covers which can be removed if required.